Our digestion isn't always perfect. Sometimes our bodies struggle to digest particular foods, and when this happens, not only is it uncomfortable, but it also impacts our absorption of nutrients. 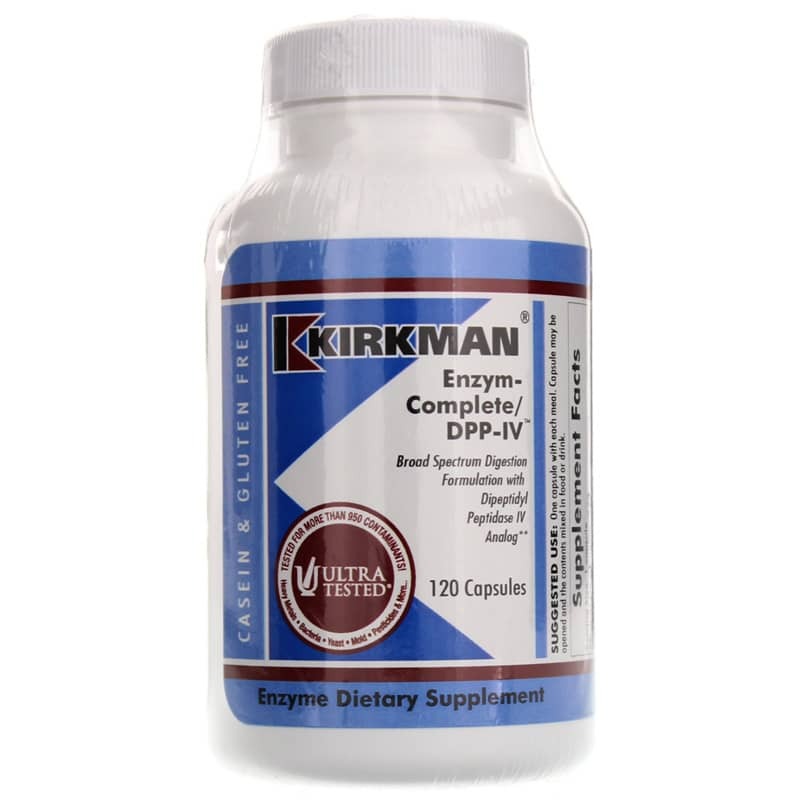 Support optimal digestion for optimal health with Enzym-Complete/DPP-IV from Kirkman. 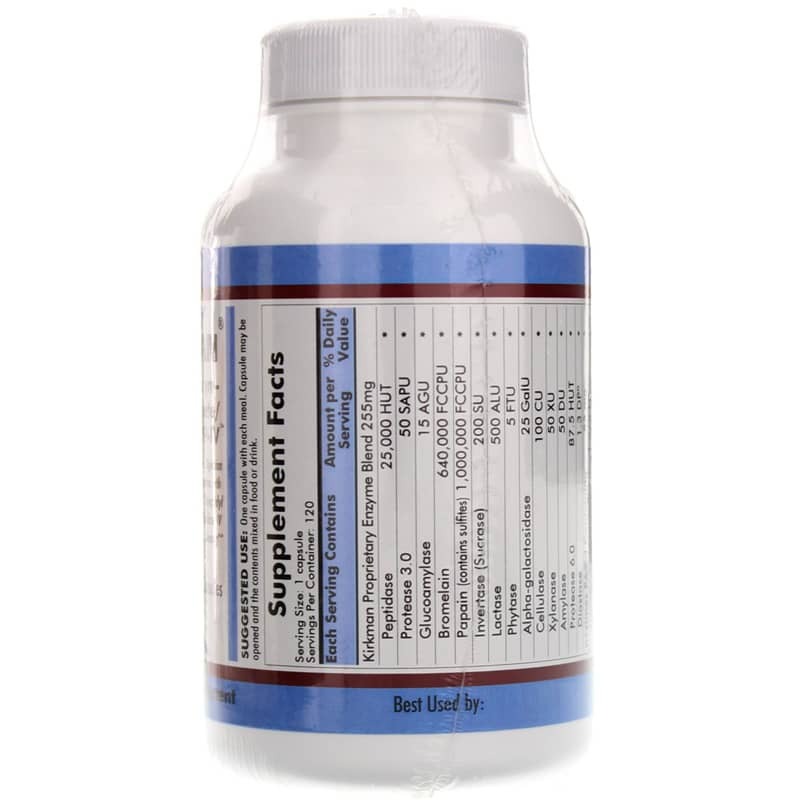 Containing a blend of 17 pure plant-based enzymes like protease, bromelain, papain, lactase, amylase, cellulase and more, this supplement is designed to support the digestion of proteins, carbohydrates, fats, sugars and fiber under a wide range of pH conditions. 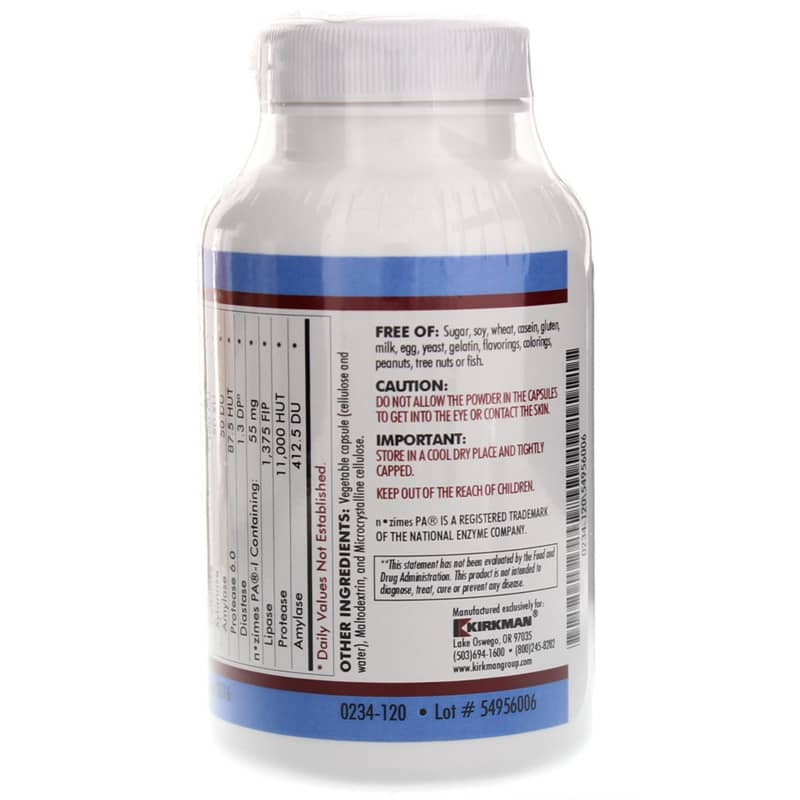 For additional support for the digestion of commonly problematic substances, it also includes DPP-IV (dipeptidyl peptidase-IV) enzyme analog to support the body's ability to degrade peptides formed from exposure to casein and gluten. Working independently and complementarily, the combination of proteases, amylases, lipases, disaccharides and cellulases in Enzym-Complete/DPP-IV help to replace the enzymes lost in cooking. Designed with individuals with allergies and sensitivities in mind, Kirkman's vegetable capsules are free of sugar, soy, wheat, casein, gluten, milk, egg, yeast, gelatin, flavoring, colorings, peanuts, tree nuts and fish. Support healthy digestion without having to worry about allergens. Order Enzym-Complete/DPP-IV today. Do not allow the powder in the capsules to get into the eye or contact the skin. Keep out of the reach of children.